France’s call for the speedy formation of a Syrian provisional government is a political hot potato for the Syrian opposition. Whatever its maneuvers, the regime of Bashar al-Assad is being condemned by its own courageous people. We have been in contact with Arab League chief Nabil Elaraby, Qatari Prime Minister Sheikh Hamad bin Jassim Al Thani and others to find a solution to the 16-month crisis in Syria. We all agree the time has come to prepare the transition and the day after. Time has come for the opposition to get going in order to take command of the country. We look forward to the rapid formation of a provisional government, which should be representative of the diversity of Syrian society. We are ready for any initiative, including the hosting of a ministerial meeting in Paris to consolidate the efforts of Arab countries in building the Syria of tomorrow. Along with the European Union, we are also trying to provide help and necessary support to the increasing number of refugees, in cooperation with neighboring countries. 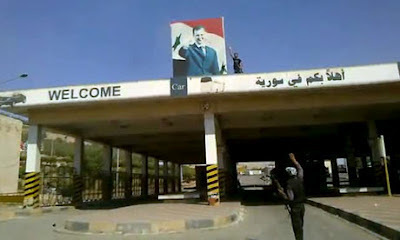 Annan’s plan called for a political “transitional government” in Damascus led by Syria and comprising both loyalist and opposition figures whereas a “provisional government” as proposed by France would be set up solely by the opposition. In addition to provisional governments established by European nations under Nazi occupation, Wikipedia lists some 20 other examples of provisional governments active in the 20th and 21st centuries. It is still unclear if the Arab League’s Syria task group meeting in Doha tonight would endorse the idea of the Syrian opposition setting up a provisional government. Represented on the Syria task group, in addition to Elaraby, are Algeria, Egypt, Sudan, Qatar and Oman. The big question of course is whether the Syrian opposition groups can see eye to eye on a representative provisional government, its political program and lineup. To their credit, the oppositions groups were able to endorse plans for a new democratic, pluralistic and civilian Syria at their two-day meeting earlier this month at Arab League headquarters in Cairo. (See my July 4 post, “Syria opposition thrashes out post-Assad roadmap”). Advantages of the opposition’s umbrella group known as the Syrian National Council (SNC) making common cause with the Free Syrian Army (FSA) and the Local Coordination Committees of Syria (LCCs) to co-opt other opposition factions and grassroots activists and set up a Syrian Provisional Government (SPG) are many. be recognized upon declaration as legitimate representative of the Syrian people in most Western and Arab capitals. be able to open offices in key world capitals to muster support for post-Assad Syria and solicit, coordinate and then apportion donor assistance. allow opposition leaderships to build unity and trust and gradually gel in a common political body. provide international legal status to FSA combatants. potentially dilute ethnic and sectarian sensitivities and interests. By the way, I learned today that the most notable provisional government was the Russian Provisional Government in 1917.